BAYA was created by founders Josh and Ed, who combined their skill and creativity to create a truly unique and alternative set of spaces, available for exclusive hire across the UK. Their domes are lovingly handmade and built using intricate internal structures made from timber, complimented by beautiful exterior clear triangle sections, allowing plenty of light to pour in. They certainly create the wow factor and mesmerise with their expansive entrances and breathtaking presence. They’re also versatile, lending themselves to any theme or style, be it rustic, nautical or festival. 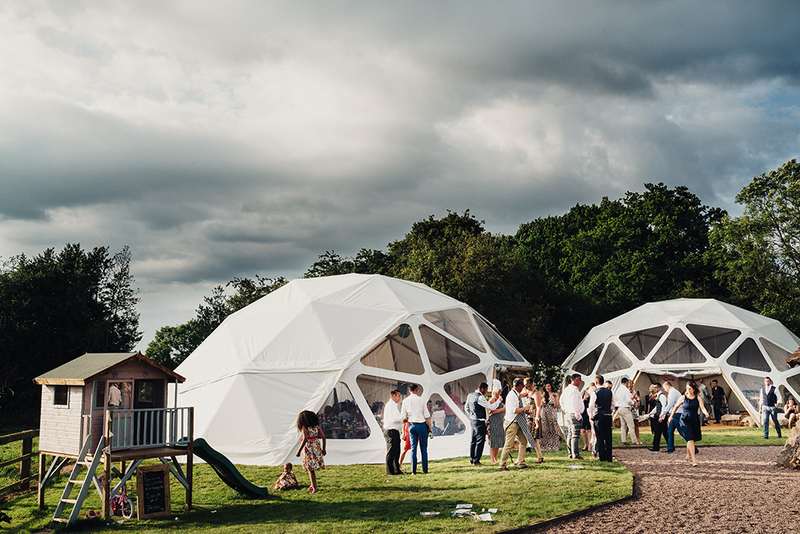 The domes come in three different variations in order to cater for your specific needs for your wedding or event. The single dome is designed for a more intimate affair and looks beautiful in any location, be it the middle of a field or beach setting. With the second option, you can add a sail attachment to the small dome in order to capture the best of the beautiful outdoors, whatever the elements throw at you. The elegant sweeping sail provides an element of coastal charm, added protection from unpredictable weather, and room for an extra 80 people to dine. Not only do BAYA provide the venue, they can help you in decorating the inside too. They offer a wide range of bespoke rustic timber furniture available to hire for any event or celebration. From their base in North Devon each piece is designed and created using sustainable materials and recycled timber. Furniture making is actually where they started out, back in 2013 when husband-to-be Josh failed to find what he was looking for for his own wedding and decided to make it himself. Whilst stumbling across this gap in the market, Ed returned from a trip to Australia and was keen to get involved and put his carpentry skills to good use. Over the past few years the company have gone from strength to strength, from hand making reclaimed furniture to building their completely unique timber framed dome venues, and playing a huge part in so many couples special day. 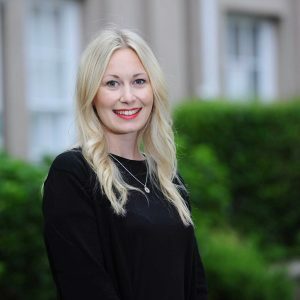 They understand the planning of your wedding can be a daunting task, so from the point of enquiry, right up until the big day arrives, you will be assigned own Project Manager, meaning you will only be dealing with one contact on hand to help you every step of the way. Next ArticleGet inspiration for your Cornwall-based wedding with Eeek!